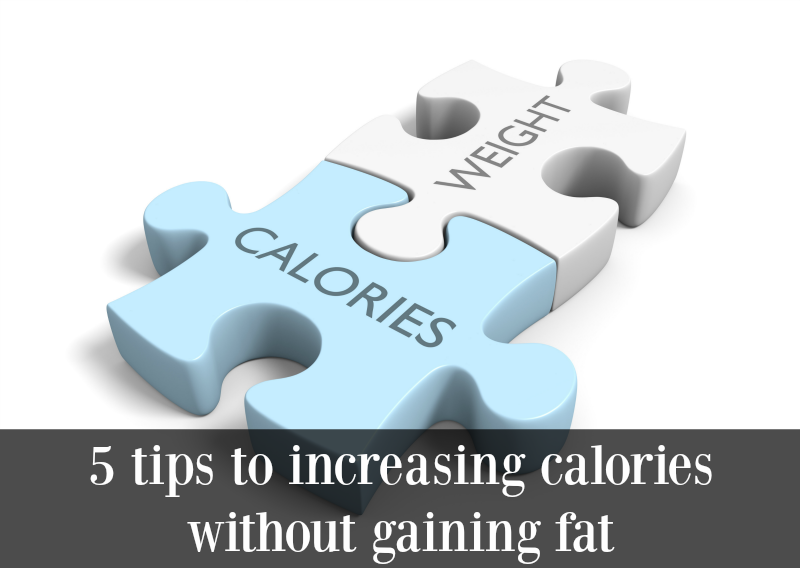 For many people, increasing calories means increasing fat or weight, but it doesn’t have to! There are many times when you may need or want to gain body mass, but that doesn’t necessarily mean you want to get out of shape or gain fat. Here are some tips to help you increase calories for increased body mass, but without all the undesirable fat to go along with it. The goal is to increase calories with healthy foods, not foods that will make you fat. Junk foods are just that- junk! You will gain weight and mass, but it won’t be what you are looking for. Junk foods have addictive substances, as well, which means you’ll be gaining a bad habit that will be very hard to break. Do yourself a favor and skip the cookies, chips, and pastries and go with healthier foods. If you go slower with the weight gain, you are sure to gain healthy weight. Just like it is healthy to lose around one to two pounds a week, it is healthy to gain that much in a week’s time, as well. This will help you build healthy eating habits while gaining the weight and monitoring the weight gain to make sure you hit the weight you want without going over. Really, you have to eat more and you already knew that. What is your current caloric intake? Add 250 calories a day to that for the first week, then an additional 250 for the second week, then an additional 250 for the third week, and so on until you see yourself gaining the weight you want. But don’t just add calories- do it through actual foods that are good for you. Yogurts, cheeses, produce, and whole grains are the best ways to add in extra calories the healthy way. For best results, eat every three hours to spread out the calories and keep your metabolism and blood sugars working and level. You have gone through the motions of a great workout, so to keep the mass eat some more. Many people feel hungry after a workout anyway, so choose something healthy that can help stabilize your blood sugar while keeping healthy weight on your frame. For best results, eat carbohydrates. If you aren’t doing that already, you need to. Breakfast can add calories to your diet, but t won’t make you fat because you will burn it off throughout the day. It is the best way to add in calories healthily and easily without having to worry about the scale. Well really the key is to just not increase your calories by too much. None of this other stuff matters that much. Your body can only build so much muscle in a day, so any calories you consume above that will be deposited as fat. That’s the mistake a lot lifters make. They want to get big so they eat tons and tons, but all they’re doing is making themselves fat. They might end up with like 5% more muscle than someone who ends less, but they also end up with like 500% more fat, which they’ll then have to lose when they want to slim down and will probably end up losing that extra 5% muscle they gained while they’re at it (and probably even more). Like you said, just go slow. I would say that even gaining 1-2 lbs per week is too fast, and you should aim for about .5-1 lb per week. Unless you’re taking steroids or something, you just can’t gain lean mass that fast.